the crime segments: *Vertigo, by Pierre Boileau and Thomas Narcejac -- a stunner. 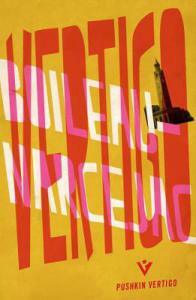 *Vertigo, by Pierre Boileau and Thomas Narcejac -- a stunner. I have this thing about reading books (or sometimes short stories) before I see the film adaptations; this year's main focus in my crime reading, in and around my normal bouncing from present to past, is reading books that eventually became movies -- my own sort of personal page-to-screen challenge. Watching is one thing; capturing more of the nuances in a story than the screenwriter can convey in a movie is another. One of my favorite examples of this phenomenon is The Woman in Black, based on Susan Hill's most excellent novel. If you watch the film, and that's your only guide to Hill's story, you miss the story of a man who is in profound grief and is trying to rationalize a personal trauma in the only way he can make sense of things. None of that comes through in the movie -- in fact, the movie changes quite a bit from the original book so that when I got around to watching it, I kept hearing myself say "I don't remember that from the book" and "where did they come up with this" or other things along those lines until I had to go reread Hill's novel to satisfy my own curiosity. My point here is that my experience has been that there's generally something an author wants to convey that tends to not find its way into a film adaptation; there have also been times when I've wondered if the screenwriters have even read the book their movie is based on. 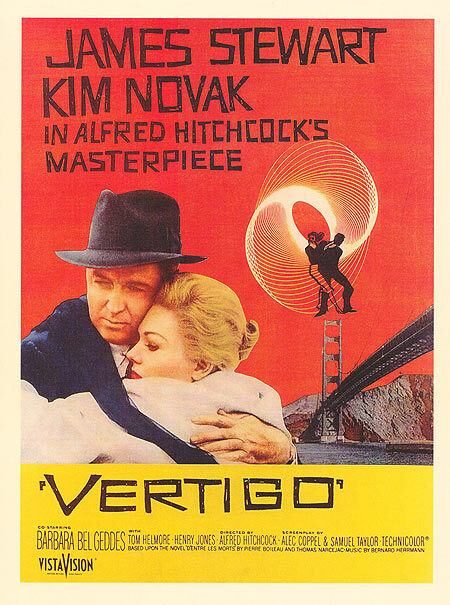 With Vertigo, things are a bit different. While there are a number of differences between the novel and the Hitchcock film we all know, most of the essential basics of the book are also there, although I did find the book to be much darker and much more inside of the main character's head. The biggest differences, aside from setting, are that in the novel, the big reveal does not come until the very end, making the ending much more of a shocker (in my opinion) than in Hitchcock's film; the other big difference is in what happens directly after the action in the bell tower -- in the film, Scottie unwittingly plays his role to perfection, while in the novel, the main character does not do what is expected. The first part of this story begins in Paris, 1940, with a meeting between a former police detective and now lawyer, Roger Flavières and an old acquaintance, Gévigne, now a shipbuilder married to Madeleine, the daughter of a "big industrialist." Gevigne reveals to Flavières that his wife is acting strangely, having odd periods of withdrawal, but in trying to narrow down exactly why he's worried about her, Gévigne finally says that he knows it's "ridiculous," but that Madeleine is "someone else," and that "the woman living with me isn't Madeleine." Ruling out mental illness, he confides in Flavières about Madeleine's strange obsession with her great-grandmother, a woman named Pauline Lagerlac, who had met her own end by suicide. After observing her from a distance at the theatre that same evening at the suggestion of Gévigne, Flavières is enchanted. He lurks and follows while Madeleine does some pretty bizarre things, and then one particular incident pulls him out of the shadows and into Madeleine's life. Their chats together lead Flavières to begin to wonder if she isn't indeed a reincarnated Pauline Lagerlac, putting the idea of reincarnation into his own mind. As he begins to fall in love with and starts becoming truly obsessed by this woman, he realizes he's not really doing it for Gévigne at all, but rather for himself because "he wouldn't recover his peace of mind till he'd got to the bottom of the mystery." Little does he know that the "mystery" of Madeleine is just beginning; because of the disruption of the war and the Nazi occupation of France, it will be another several years before it is actually solved. Not only do these references (and others) provide a number of clues as to what's coming (and to Flavières' deterioriating state of mind), but they also reinforce my feeling that the French title for this novel, D'entre les morts, is much more appropriate and more meaningful than simply "Vertigo." In the movie, the title "Vertigo" makes a lot more sense, due not only to Scottie's condition but also because of all of the images Hitchcock uses to reveal a man spiraling into his own personal madness. There is much, much more that I would love to go into about this novel, but suffice it to say that Boileau and Narcejac have created something unique here. It is an exquisite book, and that is a word I rarely use when describing books I read. For anyone planning to read it, I would suggest putting the movie out of your head and focusing entirely and solely on the novel. It is delightfully dark and if modern crime writers wrote crime as intelligently as this writing duo has, I would never, ever find fault in their writing. It is in a word, stunning. Just FYI: there is a brief section discussing Boileau and Nacerjac at the end of the book, and Pushkin-Vertigo has several more titles that they've already released and others that will be available throughout 2016, which, of course, I've already pre-ordered. I have often been disappointed in movies adapted from novels, except for one entitled The Other Man, and not the more recent film but one that stars Roy Thinnes and Joan Hackett (sensational). I have seen Vertigo and adored it as well as most Alfred Hitchcock films, but now I am ready to follow your advice and get both books: Vertigo and Woman if Black; I need to see if B and N cary both. 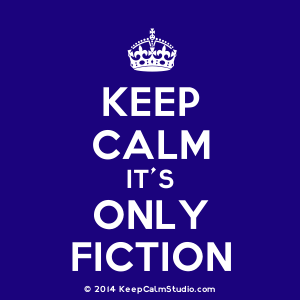 I'm currently reading a book called The Literature/Film Reader: Issues of Adaptation that discusses that very subject.